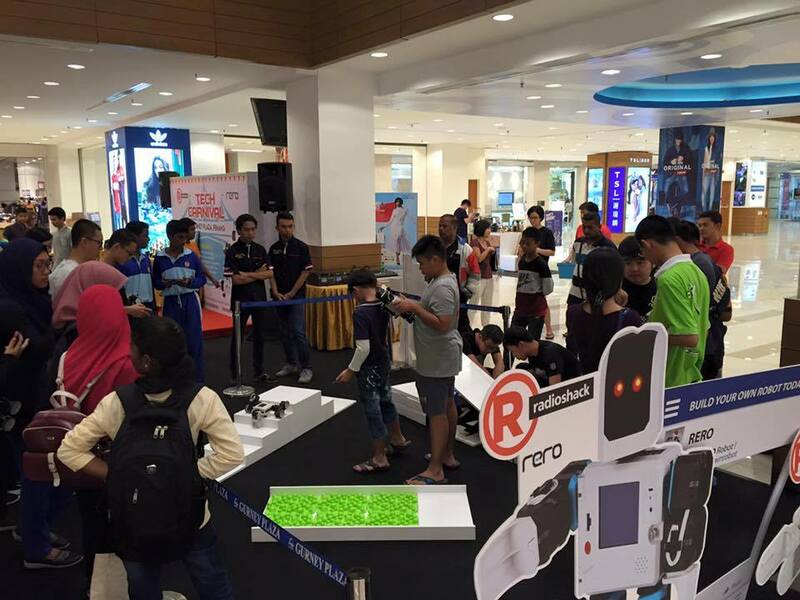 Our latest event featured an exciting robot triathlon competition which took place in Gurney Plaza on 18 June 2016 from 10 a.m to 3.30 p.m. Inspired by the Triathlon competition where an athlete needs to complete 3 different sports continuously, this game required participants to build a rero robot to overcome 3 different challenges, namely Staircase challenge, Uneven Surface challenge and See-saw challenge. Open to all students aged 10 to 18, the competition received a tremendous response and witnessed a total of 27 teams from various schools, vocational colleges and private learning centers competing for the coveted title. Competition day was charged with excitement. 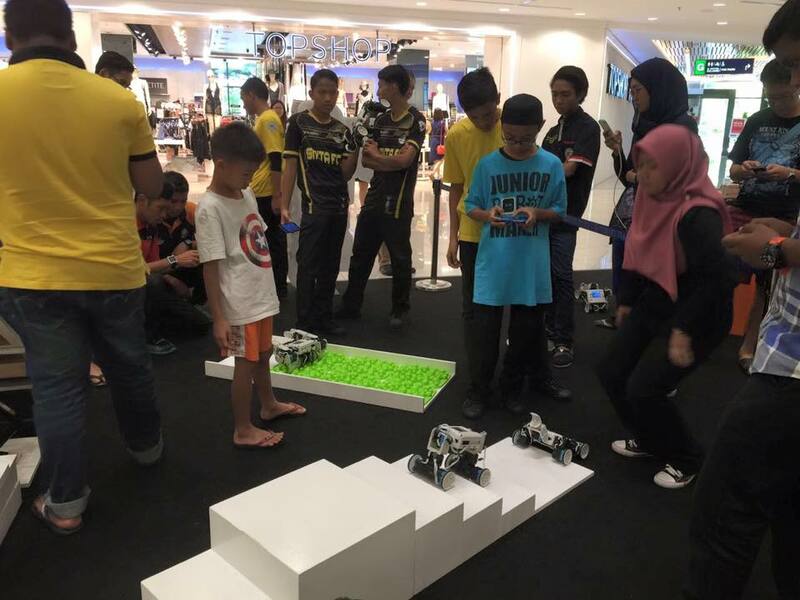 Participants, equipped with their rero robots, arrived as early as 8.30am to test run their robots on the actual game field. The competition venue was packed with teachers, parents, relatives and friends who came to cheer them on. 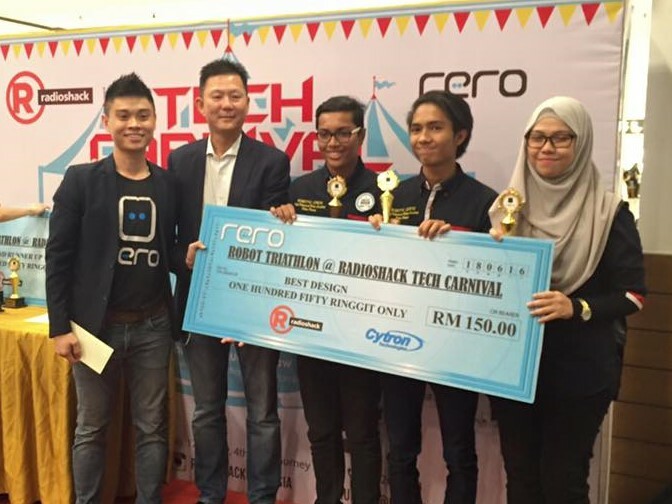 Kolej Vokasional Batu Lanchang emerged Champion. Their robot completed the 3 challenges in 37 seconds! The 1st Runner Up title was won by SM Islam Tahfiz Al-Amin with a record of 45 seconds. The 2nd Runner Up, another team from the same school, was only one second behind. The Best Design Award went to Saiful Iskandar Bin Mohd Hisham, Nur Fareen Najwa Bt Mohd Zaid and Lukhman Bin Md Zamzuri of Kolej Vokasional Batu Lanchang. 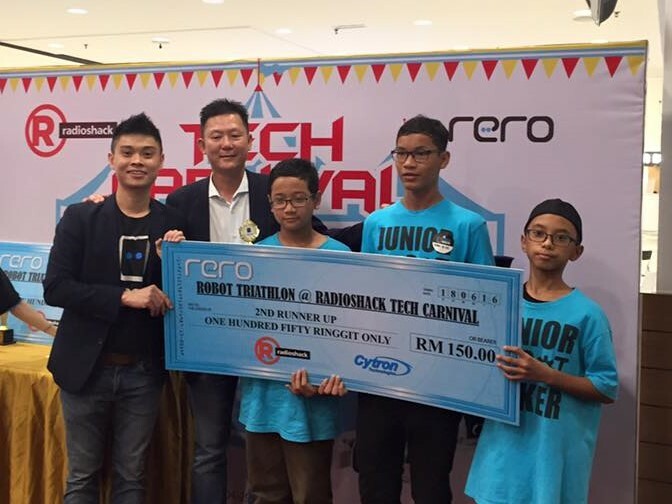 All winners took home attractive cash prizes, rero and Radioshack vouchers, trophies and of course, an experience to remember by. 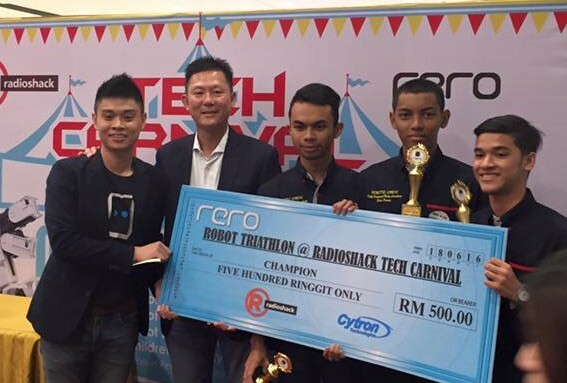 The rero Robot Triathlon was the highlight of the four-day ‘Tech Carnival @ Gurney Plaza’ event organized by Radioshack which ran from 16 to 19 June 2016. 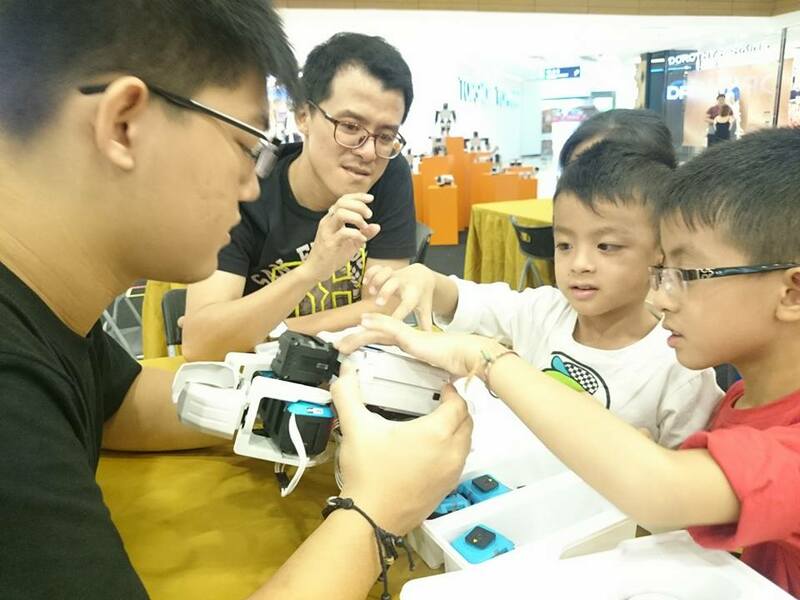 Besides the competition, rero Team also ran a hands-on “Robot Building with Your Children” session on 19th June 2016, in conjunction with Father’s Day celebration. 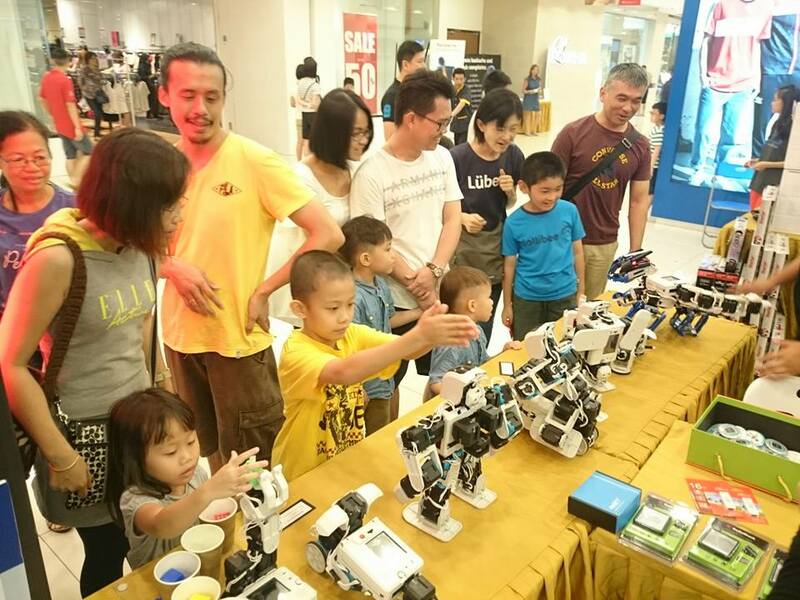 The robot building activity was open to all walk-in customers. 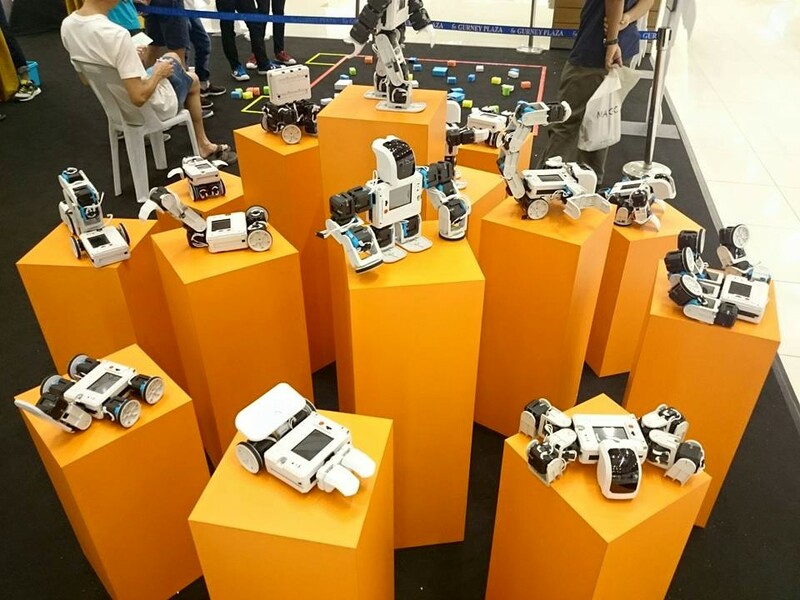 rero Jr Facilitators guided over 40 children to build their own robots, which they then used to participate in a mini robot game to win attractive prizes - power banks, rero USB drives and Jr Robot Maker t-shirts. 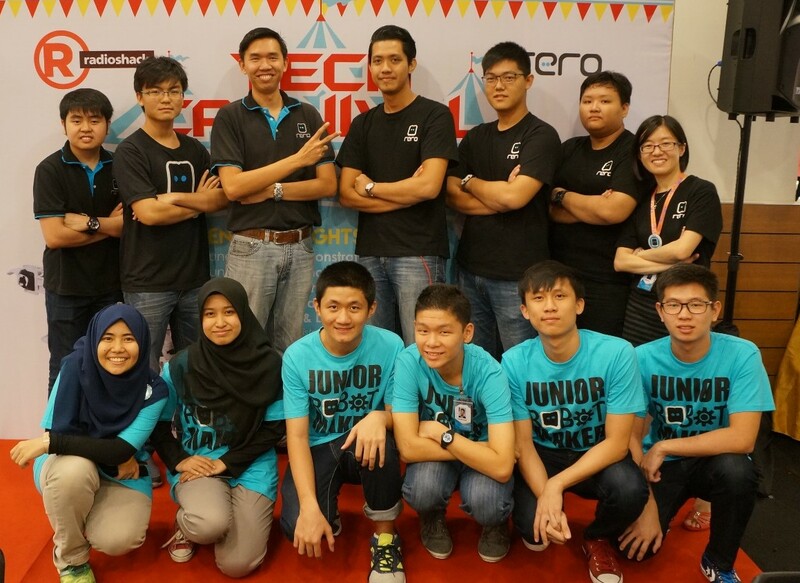 Indeed it was a fun robotics adventure for all participants and onlookers alike. We are also proud of everyone who took part in the event. Some may not bring home prizes but still it was a great opportunity to bond with family and friends and a memorable experience to boot.